This is the Stadshal, or City Hall, in the historic city center. Despite the name it isn't a government building, but an empty canopy creating a space for concerts and other public events. 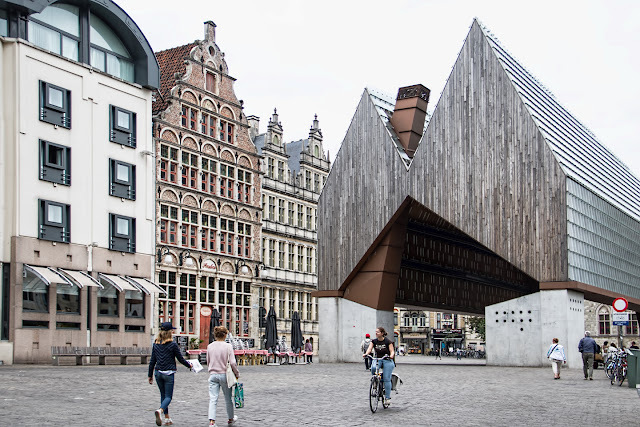 It was designed by Robbrecht & Daem / Marie-José Van Hee, and built in 2012, to great controversy. I can see why people might hate it, but I love the way it mimics the medieval shapes with modern materials.